Mike Botz and Emil Milosavljevic are the inventors of the new MP-WAD cyanide analytical method. This new titration method overcomes interferences associated with copper in solution and yields a quantitative analytical result for weak and dissociable (WAD) cyanide. The method is applicable to process solutions where the WAD cyanide concentration is above about 5 mg/L. Read more about the MP-WAD cyanide analytical method in Measurement of Weak and Dissociable (WAD) Cyanide with a Modified Potentiometric Titration. 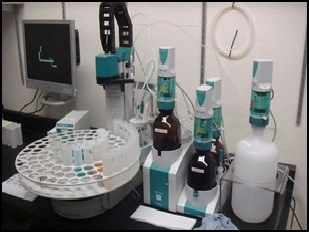 Contact Elbow Creek to discuss the MP-WAD cyanide analytical method and learn if it’s suitable for your operation.